Abu Dhabi: Mercedes driver Valtteri Bottas has promised to be more consistent as he targets more Grand Prix wins going into the new season. Previously a driver for Williams from 2013 to 2016, the 28-year-old Finn has had to play second fiddle to his more accomplished teammate Lewis Hamilton. Bottas did not have to wait long for success after making the shift to Mercedes as he achieved his first F1 pole position at the Bahrain Grand Prix in April and took his first F1 win at the Russian Grand Prix after 80 starts later that month. The resident of Monaco doubled his F1 winning success at the Austrian Grand Prix in July. And though the season has been promising, he has set his sights on a more fulfilling 2018. 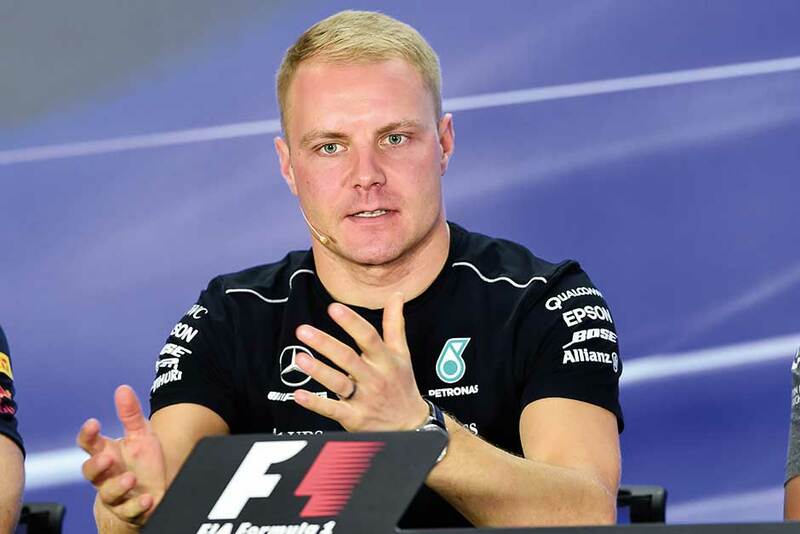 “The balance sheet has been up and down for me,” Bottas told media at the pre-race conference on Thursday. “The good news is that I have been able to learn and grow as a driver perhaps more due to the mistakes I have made. After 19 races, Hamilton has already won his fourth world drivers’ championship with 345 points to his name, while Ferrari’s Sebastian Vettel is in second with 302 points and Bottas in third with 280. In mid-September, it was announced that Bottas would be driving for Mercedes once against during the 2018 season. “Wins make you even more hungry,” Bottas said.